Learn easy to make smoothies healthier tips, replacing some basic ingredients for the most natural and nutritious. The kitchen is experimentation, and we rely on that notion to make ice cream, creams, sauces and smoothies healthier. 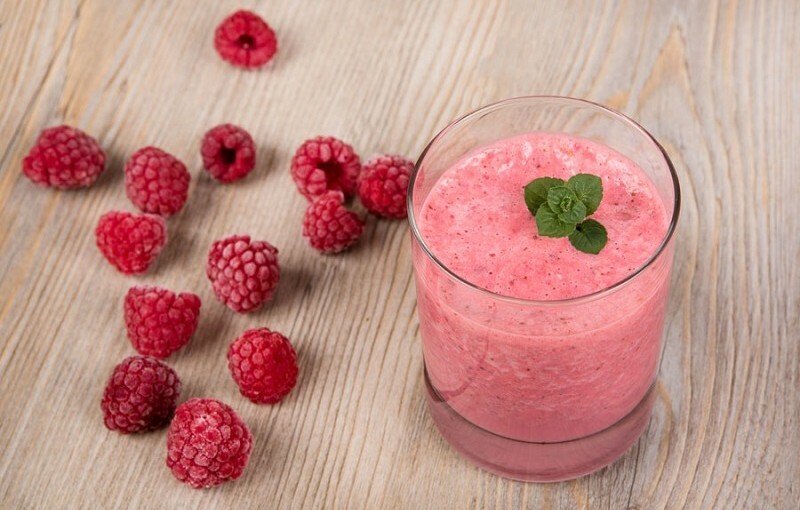 Whether you are looking to lose weight, tone up the figure or live with a little health every day, learn how to make healthy smoothies and natural and full flavor. To prepare smoothies use an aqueous base (water, juice or milk -mainly-), dried and fresh fruits, sweeteners and other ingredients. All alterative can be replaced with fewer calories, highly nutritious, and flavorful. To make smoothies healthier you should take advantage of fresh ingredients, seasonal and local produce. Choose frozen alternatives if you do not get fresh, turning away from canned and processed products, chemical-laden seeking to enhance the flavor, color, aroma or preserving the product longer on the shelves. If possible, also choose products and organic ingredients, including plant or animal milks free grazing, purchasing it directly in the dairy if available in your city, or organic stores and healthy eating. Make the most suitable replacements for each beat that you want to achieve, leaving you out of your own consistency and intuition, which will be your best allies. Instead of using regular commercial milk, choose to prepare your healthy smoothies with milk from free grazing, as indicated, or with almond milk or coconut milk, full of flavor and health. Choose unsweetened options and preservative-free. If you prefer lighter shakes, prepare them with mineral water or natural fruit juices. Make them at home instead of buying commercial alternatives. Another good base for smoothies is the healthiest yogurt or Greek yogurt. You get shakes and creams, with a mild acid and sweet touch that you can modify to your liking adding other ingredients. To add a sweet touch to your healthy smoothies, choose sugar alcohols or organic honey. If you choose sweeteners (not ideal, but there are many people who opt for them), choose natural, like Stevia, carob or the like. Remember that fresh fruits also add sweetness while obviating artificial sweets. As regards fruits, choose fresh station you have in your local market. Properly, wash to incorporate shells when appropriate. If you do not have good fresh fruit in your city, choose frozen instead of canned. So you can make smoothies healthier and tasty ingredients without inadequate. To give a special touch to your smoothie, add a teaspoon of apple cider vinegar. You will take advantage all its benefits without changing the taste of your smoothies or homemade ice cream. For a refreshing, tart flavor, add lime juice or freshly squeezed lemon. Finally, add to your homemade ice cream shakes and supplements that your health supplement plan allows. You can take advantage of protein powder, multivitamin powders, mixed greens or algae, ground to provide health and nutrition, if complemented with your sports diet and lifestyle. Always consult your doctor or your nutritionist to find out if this incorporation is suitable for you, and how much, to make healthy smoothies and leave your body in its best possible condition.